Over 30 participants took part at our third Harbour Walk - Harbour Cruise and Walk. 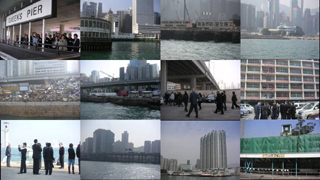 We met at Queen's Pier and visited Wanchai, North Point, Quarry Bay, Kai Tak and the West Kowloon Cultural district. We disembarked at North Point and walked back towards the former Yacht club some 150 metres from the current waters-edge. Roger Nissim, Ian Brownlee and WK Chan gave us excellent overviews on each harbour area.